Fisherbeck Cottage is the middle terrace of three stunning holiday cottages in the elevated old Blue Hill area of Ambleside welcoming up to 4 adults and parking for your cars. Don’t forget your four legged friends. Two are welcome to stay free of charge. Located at the foot of Wansfell Pike, there are many walks and cycle paths from the door to explore Loughrigg, the Fairfield Horseshoe and Red screes, all of these with their views of Windermere and the mountains beyond. 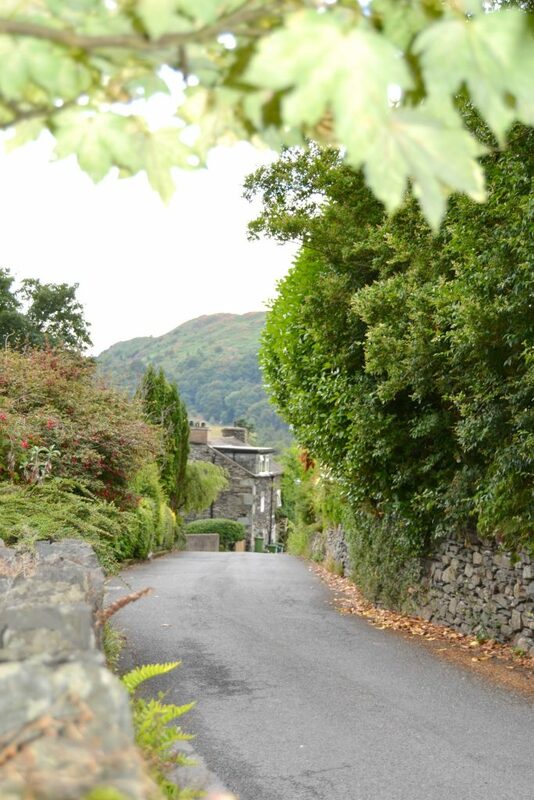 An interesting five minutes walk into Ambleside, through part of the old town, where you will be greeted by the Copper Pot for amazing lunches, or the Stamp House, where Wordsworth sold stamps, for a special evening dinner. In the opposite direction walk to Lake Windermere for a boat trip on the lake or a Sunday lunch at the Waterhead Hotel. (5 out of 5 Stars) - based on 7 reviews. We really enjoyed our 3 night break at Fisherbeck Cottage. It was comfortable and clean and had everything we needed. The views were lovely and it was just a 5 minute walk into Ambleside. Great location, great facilities very clean and furnishings are excellent! Arriving on Saturday night we found the keys thoughtfully arranged in the key box in arrival order. The cottage was perfect for the needs of a mother, a tween and Echo, our collie cross. It was clean and comfortable. A short walk up the hill took us to the path to the waterfalls. A good selection of dvds were perfect for rainy days. We had a lovely stay in one of the cottages in Ambleside, slightly off the main road for more privacy and tranquility but within walking distance of all the town’s amenities. We liked the small front and back terraces as well as the good equipment in the kitchen. If we were to stay in Ambleside once again we would probably return to this place.